This is exactly the kind of stuff we talk about in my course Put Your Money Where Your Happy Is. Registration opens November 6th. Click here to get on the waitlist! It’s 2011 and I’m at a bonfire with friends. I’m about to leave for a 10-month trip and we’re all drinking and eating in honor of my impending travel. Talk turns to dating-while-traveling. A married friend takes a long swig of his beer and levels his eyes at me across the fire. “Aren’t you afraid that if you keep traveling you’re not going to meet a nice guy?” he asks loud enough for everyone to hear. I blush and mumble something unintelligible, but by now I should be used to questions like these. 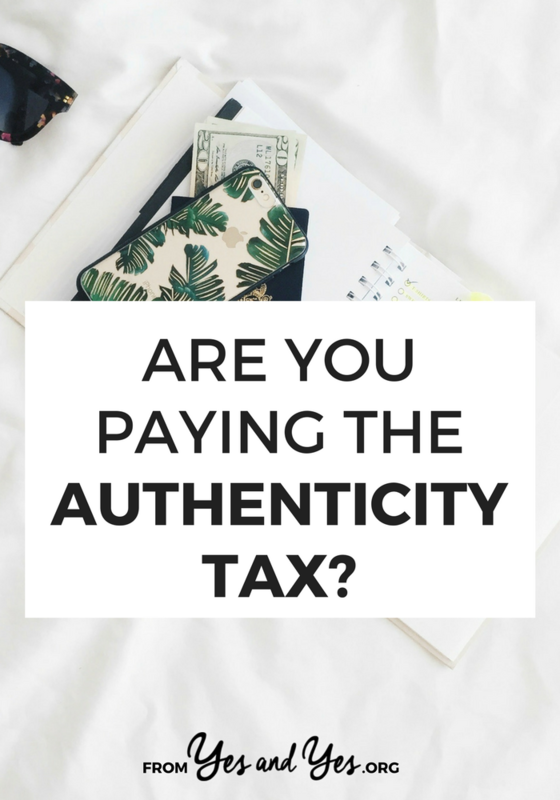 This not-particularly-polite-question is an example of the authenticity tax. It’s the price we pay for living a life that’s right for us. The truth is, anytime you make a choice that’s right for you but runs counter to expectations, you’re going to get pushback. Family members are going to ask you about it at Thanksgiving. Friends might elbow you after a few drinks. Co-workers will look askance. Maybe the neighbors will talk. These questions and comments are frustrating, condescending, and sometimes downright hurtful. But the truth is, they’re usually par for the course if you’re living your life on purpose. It’s 2010 and I’m 30 minutes into my flight between Newark, New Jersey and Mumbai, India. I’ve somehow angered the travel gods because I find myself in the middle seat, in the middle row. On a flight that’s nine hours long. I bend forward to dig out my copy of Skymall. When I return to my upright position I discover the men sitting on either side of me have each taken ownership of the armrests. I look down and notice that they’re both slooooooowly man-spreading their thighs into my space. Now, this is the part of the post where I’d like to tell you that I charmingly, assertively, diplomatically took back my armrests and personal space. I’d like to tell you that in even in 2010, I didn’t care if I ruffled the feathers of these total strangers. Instead, I’ll tell you what really happened. I spent the entire flight – all nine hours! – with my elbows tucked to my sides, my knees pinned together, dehydrating myself. God forbid I ask someone to stand up so I can go to the bathroom! 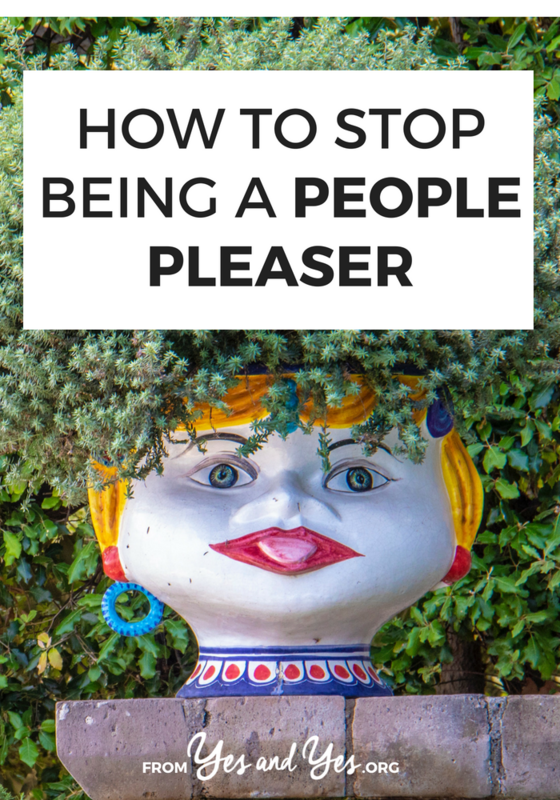 If you are a woman, from the Midwest, or a people pleaser, you probably have your own version of this story. You let a friend-of-a-friend’s cousin crash with you even though you live in a studio apartment and you’re an introvert. You spend $$$ attending an out-of-state wedding for a relative you barely know. You agree to help a coworker move, even though said coworker earns significantly more than you and can absolutely afford to hire movers. I’m clicking through one of those quizzes people share on Facebook, feeling preemptively smug. Click. Click. Click. Self-congratulatory back pat. My results appear on the page and I grimace. Apparently, that self-congratulatory back pat was not earned. I scored a 35 on the quiz in question: “Do you live in bubble?” And if I hadn’t worked as a teacher (“Have you ever had a job that caused you to be on your feet all day?”) or grown up in rural Minnesota (“Have you ever lived for more than a year in a city with fewer than 50,000 people?”) I would have scored a 14. Good lord, it is easy to surround ourselves with people who look, act, and think like us. It’s so nice to meet all my college-educated, liberal, feminist friends for coffee and validate the ish out of each other’s opinions and life choices! It’s so comfortable to drive my Prius to J Selby’s and order a $10 Buffalo Soy Curl Wrap with my vegan friends! 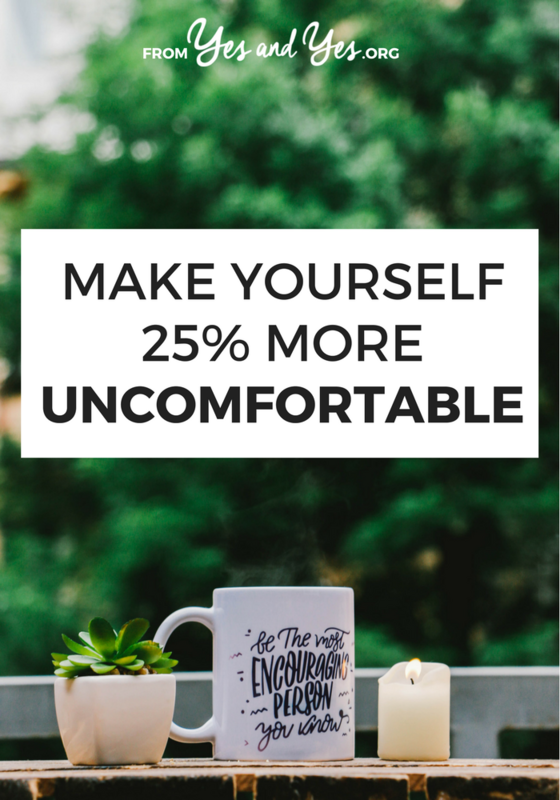 But – and I know you know this – we don’t grow by surrounding ourselves with people and ideas that don’t challenge us. So starting now, I’m trying harder to live in the world, not in my “liberal elite” bubble. 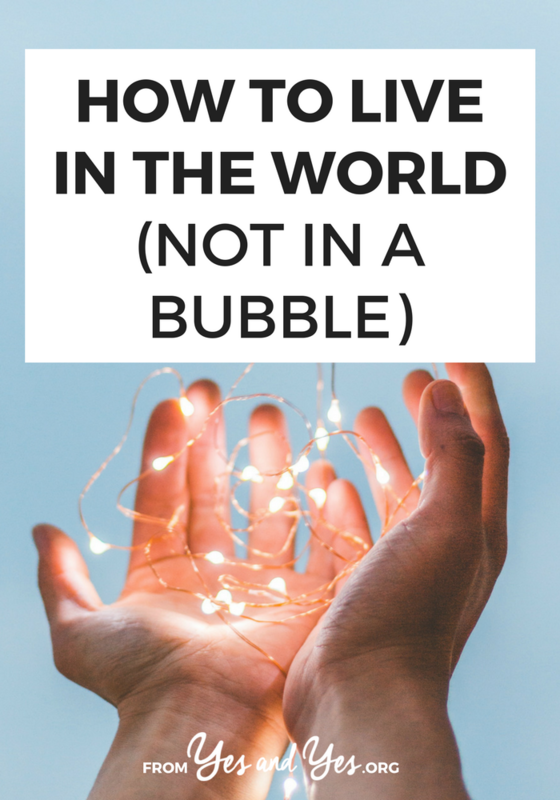 If you’d like to join me in exiting your bubble, here are six things I’m doing. Friends, I spend a lot of time thinking about this stuff. About what makes us happy. About how to communicate our needs. About how to chase our dreams without hating our lives. And I’ve spent exactly zero minutes thinking about what my Best Self looks like. 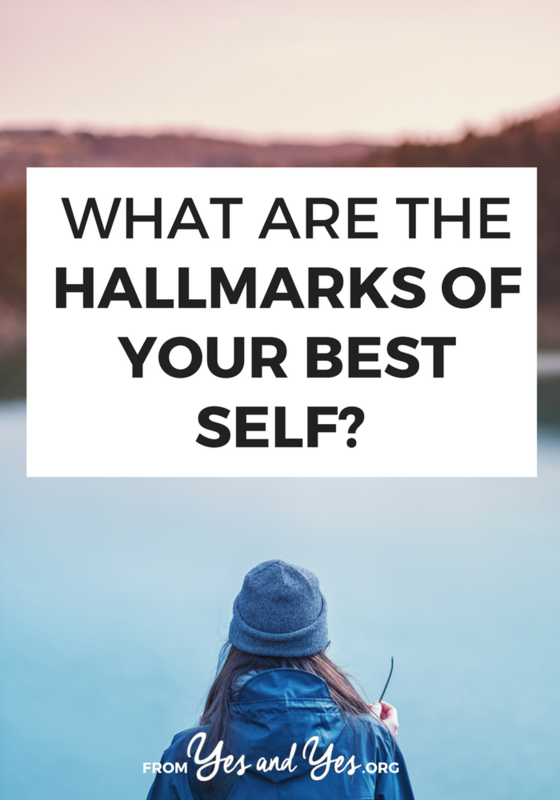 These ‘hallmarks of your best self’ – how did my friend know what they were? How did she know which people, places, and experiences brought them out? Of course, we can’t be our Best Selves all the time. Sometime I just really want to eat rubbish and read snarky celebrity gossip. 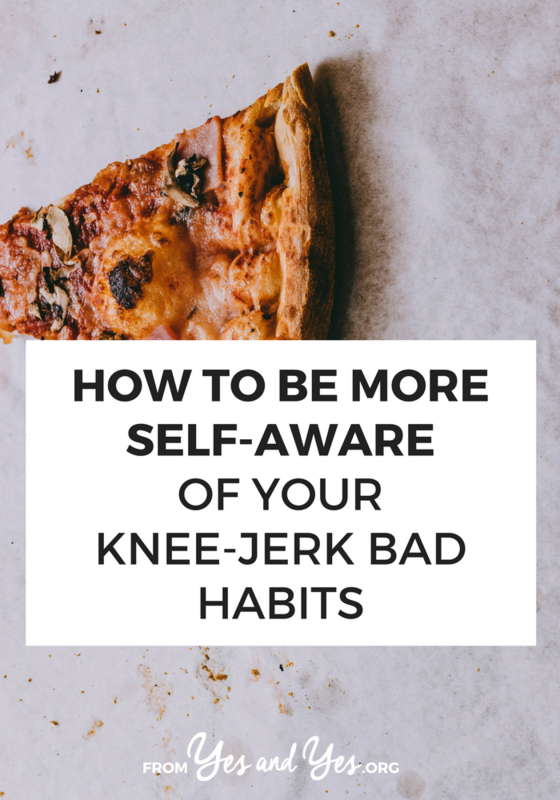 If I’m virtuous and intentional and productive for too many days in a row I get sick of myself.